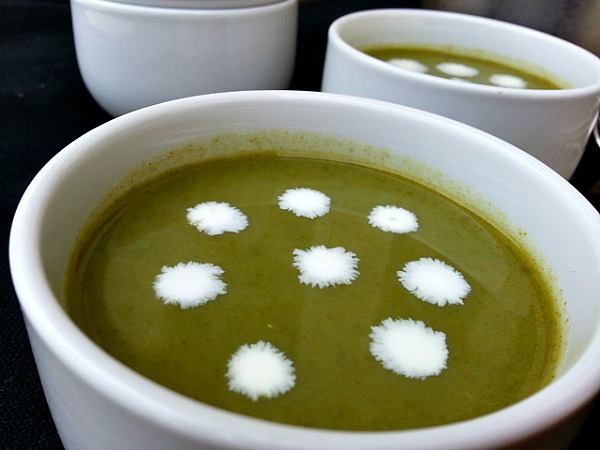 Caldo Verde can also be called as Cream of Spinach Soup is a Portuguese Soup which is popular in Goa for special occasion. Caldo Verde in simple translation would be Caldo meaning “Broth” and Verde meaning ” Green”. It is most often served in little teacups instead of soup bowls. 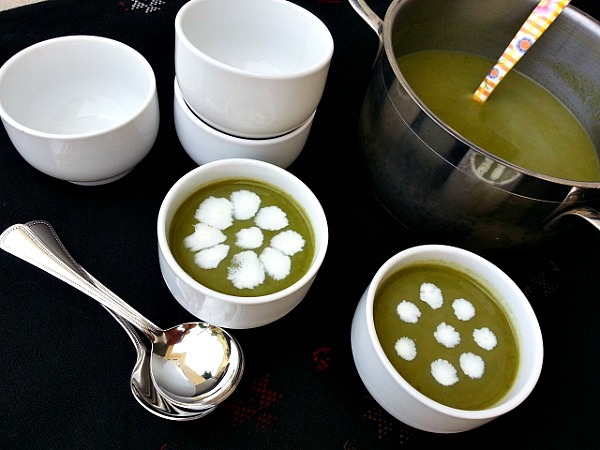 The Goan version of caldo verde is made with spinach instead of collard greens. Heat oil in a pot and add the chopped onions, saute till the onions are translucent. Add the potatoes, broth and cook covered on medium heat till potatoes are soft about 15-20 minutes. 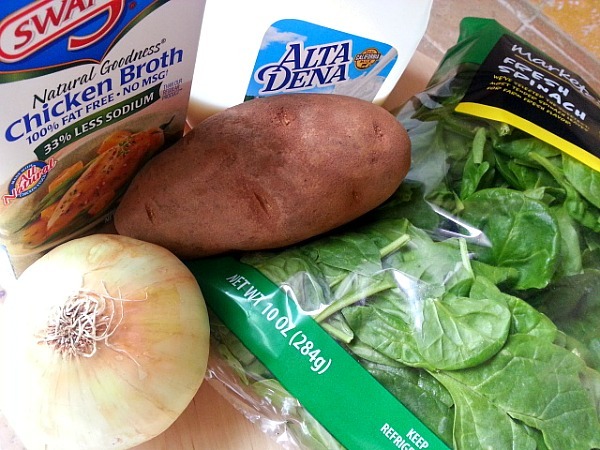 Next add the Spinach and cook for another 10 minutes. Take of heat and with a hand blender puree the soup in the pot carefully as its hot. Once done add the milk. Place it back on the heat and bring it to a quick boil. Serve hot with rustic bread or slices of baguette. The nice thing about this soup is that you can make it vegetarian or non-vegetarian. Also it taste better the next day. You can check out more recipes here. Yum! Definitely making this. I can’t have dairy so probably will use coconut milk, what do you think? Yes, coconut milk should work. Milk is used to make the soup creamy. I haven’t seen the soup puréed before but your version it looks really good. I’m going to try this. Looks so good. Thanks 🙂 Do let me know how it goes. This soup looks delicious! Thank you for visiting my blog. I have just taken a look at yours and I will enjoy trying some of your recipes! Looks delicious! Nice and light and healthy! The recipe looks great (and I really love the colorful soup ladle in the background)! It can be Portuguese but we also eat that in Spain, actually I know how to make one, ha ha, that was fun to see. Although it probably is but not Portuguese, since we invaded them some years ago, part of our little Spanish Inquisition, of course we taught them how to eat, and eat healthy I might add. You kidding, I´m always right. So pretty with those dollops that look like little daisies! Thank You Tina:-). Goa sure does have a strong Portuguese influence in its culture, religion and cuisine. .